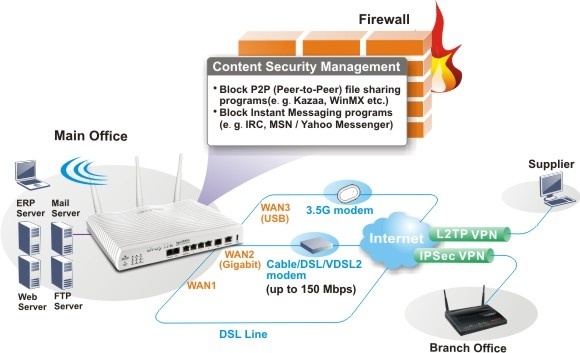 3G Connection gives wireless connectivity up to 28 Mbps, with extra hardwares you can use for Internet load balancing, configure for WAN etc. Here is a guide. Most users are not aware of the possibilities offered by a 3G connection, with proper setup, it can exceed the function of a leased line. The reason for the lower is – like our servers, the backend is virtualized to host multiple users. First you can read about the Functions, Features and Types of USB Modem. Secondly, you can read about Universal Mobile Telecommunications System (UTMS), Thirdly you can read about Portable Wifi Hotspot Devices to Share Your Internet Connection, which is an practical example of extending your degree of usage of a 3G Connection. Connecting Two Computers With USB Port over Ethernet is easy and requires less investment but not always it is the solution. First read about the article on Internet load balancing and Multiple Internet Connections itself. There are 3G connection services in both India and USA which has SIM with HSPA+ supporting 28 Mbps, but because the supplied hardware, they offer less speed. Cisco is the leader of Network related Hardware, you can blindly rely on them. Most users searches for native support of Windows for Internet Load Balancing with 3G connection, that is using no extra hardware. It is partially possible, by any means that is not the true Internet Load Balancing, you can use a 3rd party software like ForceBindIP to make application specific usage of 3G Connections. Cite this article as: Abhishek Ghosh, "3G Connection, USB Modem and Internet load balancing : Guide," in The Customize Windows, November 17, 2012, April 23, 2019, https://thecustomizewindows.com/2012/11/3g-connection-usb-modem-and-internet-load-balancing-guide/.